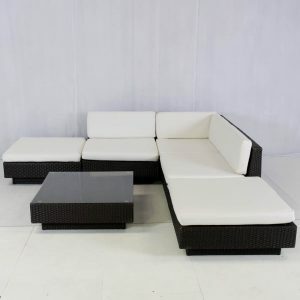 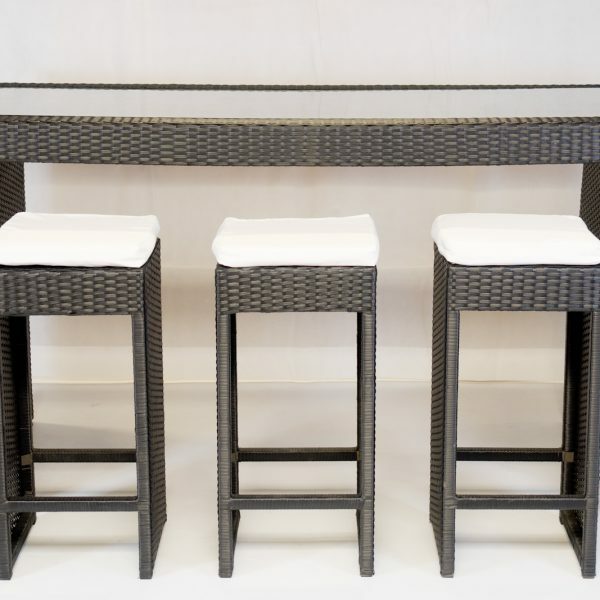 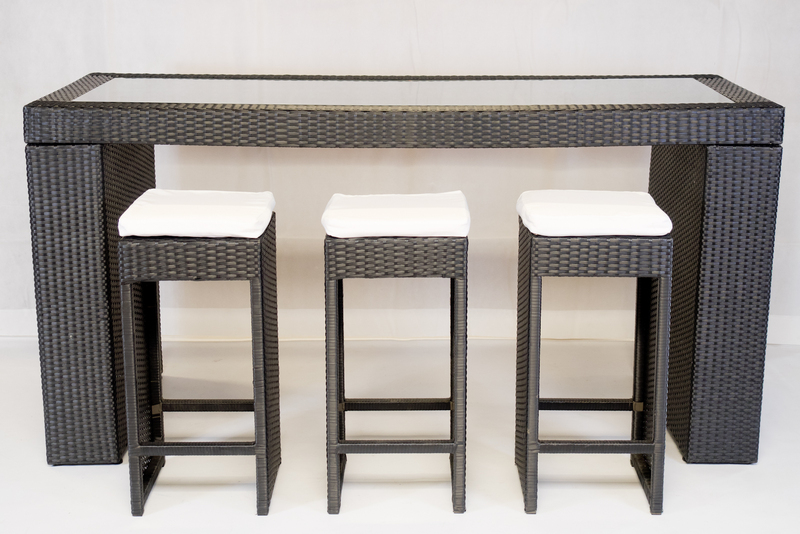 For smaller groups, this black rattan set is also available in a 4-seater version. 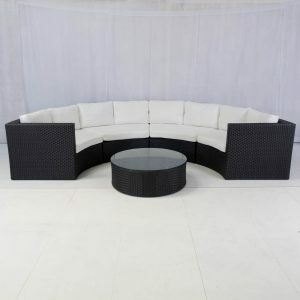 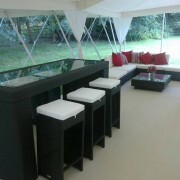 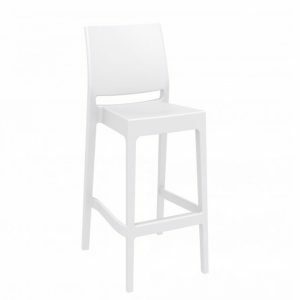 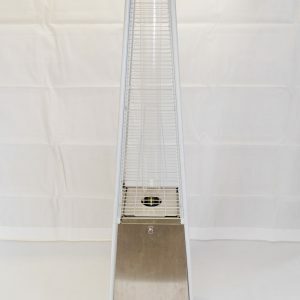 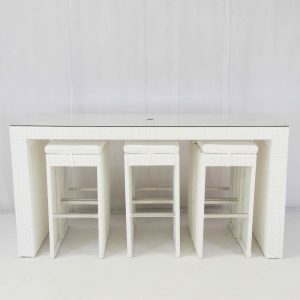 The South Beach range is also available in white rattan. 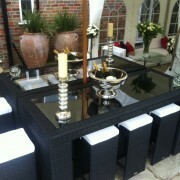 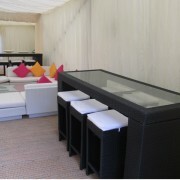 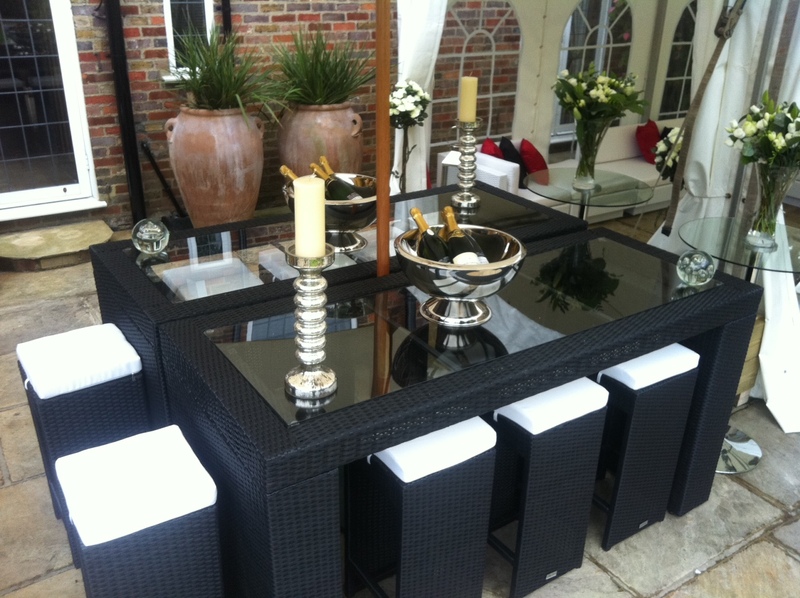 PLEASE NOTE: This 6 seater style in black does not allow a parasol through the table top. 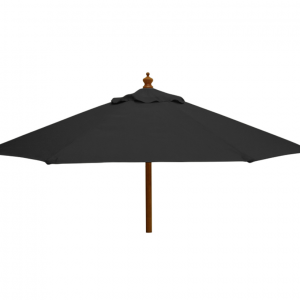 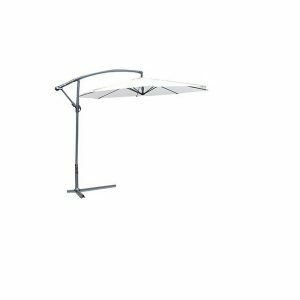 We suggest hiring our large Cantilever Umbrellas if sun shade is required. 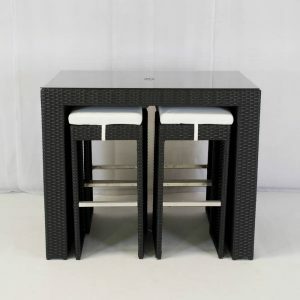 Designed in a cool black rattan, our South Beach Bistro Set has it all for chic al-fresco dining. 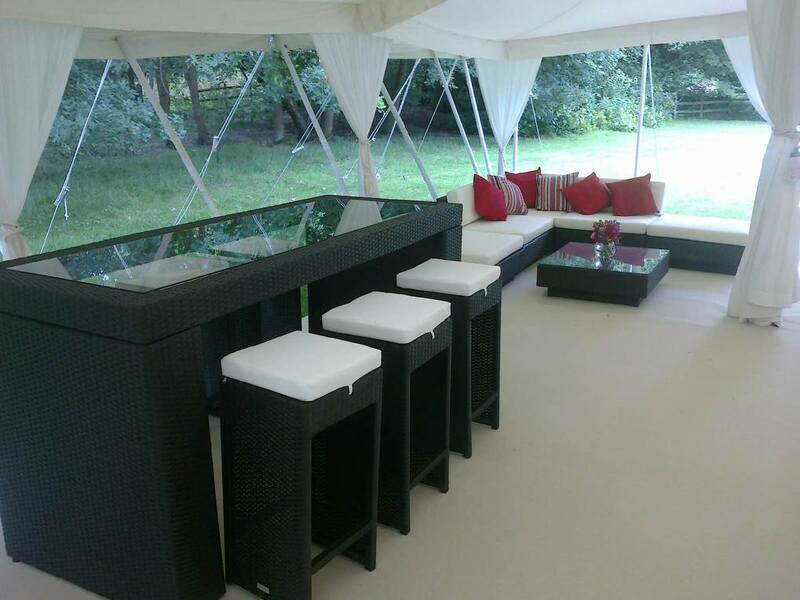 Ideal for an outdoor summer wedding, a pop-up restaurant at a festival, or a garden party, the comfortable contemporary design will delight your guests. 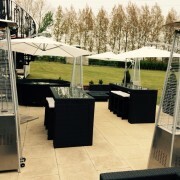 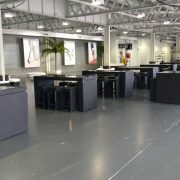 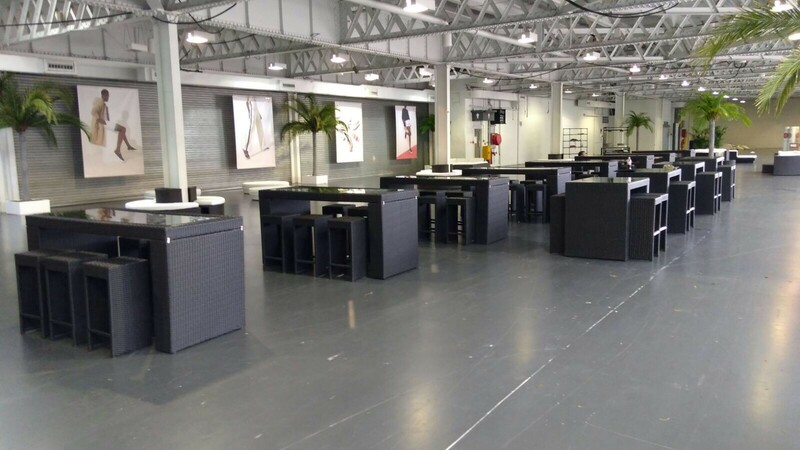 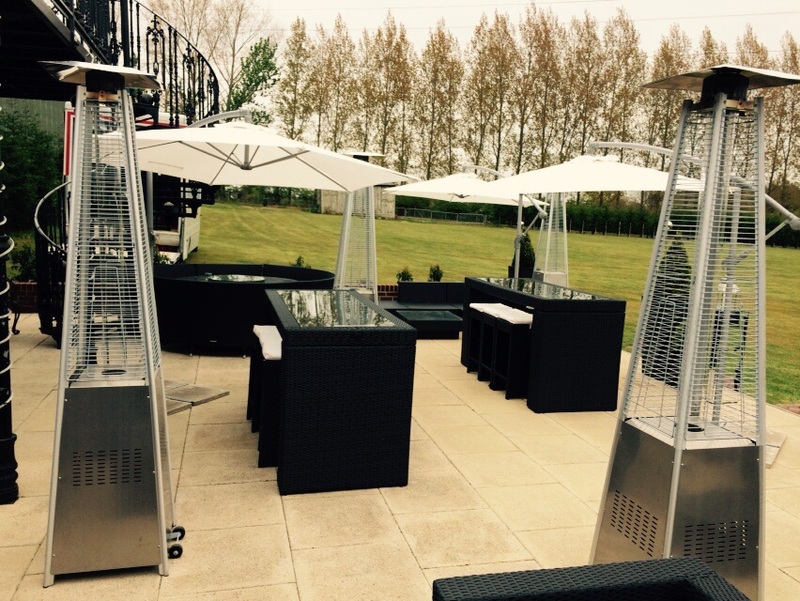 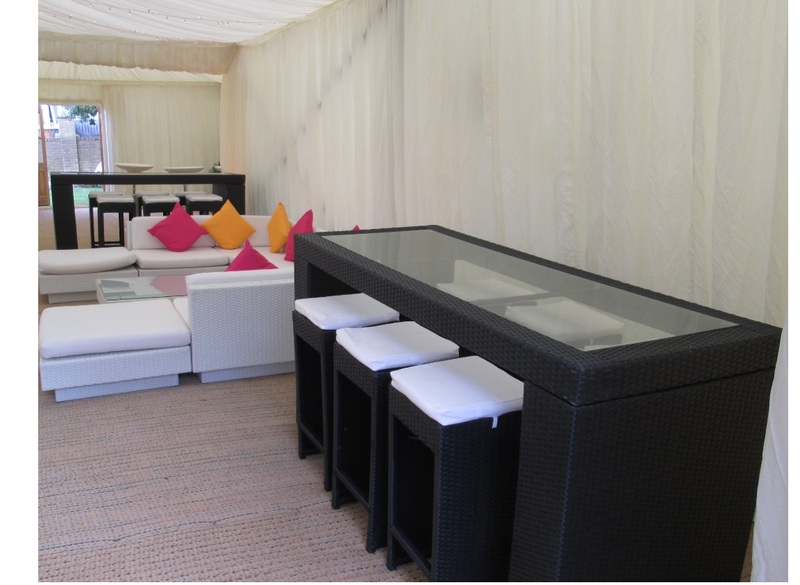 To enjoy this stylish bistro furniture at your next event, add it to your quote today!